How long would you wait for your loved one? 10 years is how long Hachiko waited for his master at Shibuya station. Every day from 1925 to 1935, the dog would go to the station and wait for the afternoon train, the train that his master used to take home from work. Only he wasn’t coming because he was dead and so Hachiko waited in vain. Did people talk to him, I wonder? Did they gently pat him on his back and say, “go home,” “he’s not coming.” Or did they just watch quietly, feeling a little pinch in their own hearts where a lost love ached? Whatever the case may be, Hachiko’s faithfulness and persistence made him quite famous and he is now a sort of mascot for the neighborhood. You see him on buses, on elevator buttons and in front of Shibuya station there is a little statue of him, which has become a popular meeting place for locals. Every time I passed by, it was surrounded by throngs of people waiting. And there is more fame in store for the little dog, according to Lisa; Richard Gere is at work turning the story into a film. The Hachiko legend lives on. In other news: We are at Narita airport waiting to board American airlines flight back to New York. Thanks for following our adventures here on the blog, hope you had as much fun reading it as we had writing it. 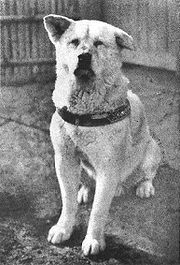 Hachiko’s tireless devotion is admired in Japan. The original statue was melted down during WW2 (they were that desperate), and a replica was erected in happier days. 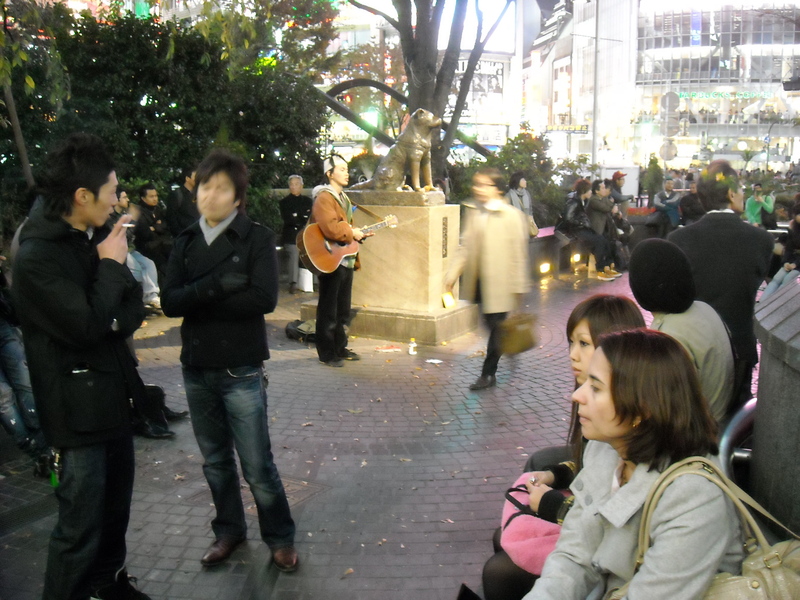 It is a popular meeting place in Shibuya.